Going into “full-screen” mode on my apps causes my second display to go black. It just started doing this today after I did a restart. I am using a new 27-inch iMac running El Capitan. I have had my computer for over a month and never had this problem before. It’s related to Spaces, which has been a thorn in my side for years. Spaces lets you create multiple desktops and that includes an option to set each display to be a separate space. 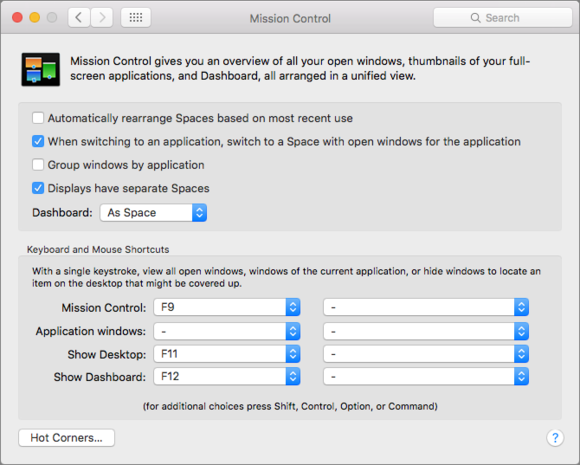 You have to have that box checked in the Mission Control system preference pane to use apps full screen on different monitors at the same time. But as I wrote last October, Spaces is a finicky beast. 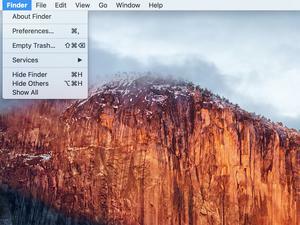 I was long unable to get this mode to let me stick apps on my office Mac with two displays to my preferred monitor. El Capitan fixed this for a while, but then I’m back to where I am. When I launch apps any given morning, they appear arbitrarily on my first display or second, regardless of where I assigned them. Check Displays Have Separate Spaces to avoid the problem of other displays going blank when in full-screen mode on your primary display. From what I can tell from others’ troubleshooting of this blank-second-monitor issue Preston is having, it’s tied to the same feature. You can try unchecking the Displays Have Separate Spaces box, then logging out ( > Log Out account name), log back in, check the box, log out, and back in. This might clear the state. Rebooting might help, too. But it’s clearly a bug—you didn’t trigger a feature unintentionally.